Well it's a lovely day here and I actually got some gardening done this morning. 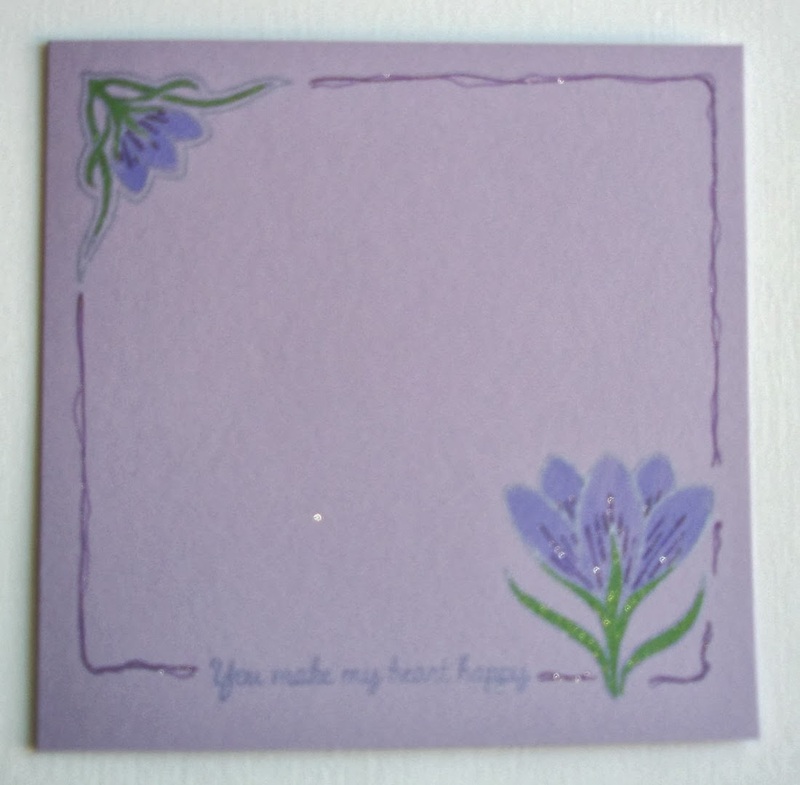 I have 5 purple crocus out so that was my inspiration for this card for the Less is More Challenge week 162 - a One Layer card with SPRING FLOWERS. I've used an old Crocus Set from Elusive Images (now Chocolate Baroque) inked with Lavender Brilliance - coloured with Tombow markers and glittery Sakura pens. Its very glitzy in real life but today the camera is lying, so much so you can hardly read the sentiment but it says You make my Heart Happy (Hero Arts). This challenge has reminded once again that I still haven't treated myself to a nice daffodil stamp....so I'm going to check out everyone else's cards to try and find one! Thanks for looking!! Great CAS card - I love the corner stamp! Elaine what a super spring card!